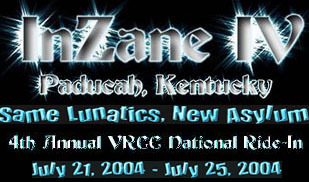 Welcome to the Official Website of the "DELAWARE CHAPTER" of the VRCC. The Delaware VRCC Chapter has been here since its inception back in early 2001. We have tried to engage our members into meeting for different rides and events. We met in the beginning, but since we are spread across the whole state, sometimes it was just too much trouble to get together. Last year I sent out emails to all our members to invite them to a "Bike Night" they have every Wednesday night at the New Castle Hooters located on route 13 near the New Castle County Airport. Before the summer ended we had a couple of good get-together's. One night we ended up with 10 or 12 Valk's not only from Delaware, but also New Jersey and Pennsylvania. Met quite a few members at Hooters Bike Night, and had a real good time. There are a lot of awesome Valk's out there!! This year we would like to encourage many more members to meet at Hooters any Wednesday night during the nicer weather. We also need any suggestions for the group for other events and / or meetings. I am currently asking the VRCC support staff to let us have a message board for our state just like the one used on the National VRCC General message board. I had noticed that New England has one, and so does Florida. It makes for a much easier way for the Delaware members to communicate, and even post pictures. Pretty Cool !! I am in the process of upgrading this website. These are two great events that some of us have had the pleasure of attending. General Messages, just be cool.